Should art—whatever kind it may be—have an obligation to deal directly with politics? Depending where one is in the world, the question may arise with greater or lesser frequency, but it’s one that has appeared throughout the history of world literature in a variety of forms, and one that is directed perhaps most repeatedly against certain strains of contemporary American literature in the last few years. How can you sit back, the questioner appears to ask—if he or she does not in fact add this on—and write about conventional suburban or metropolitan relationships, domestic dramas, when dramas with bigger stakes are being enacted across the stages of the world, almost regardless of where you live? How can you ignore wars and the brutal excesses of corrupt regimes to write fantasies about other realities? How can you revel in a seemingly depoliticised return to the movement of Art for Art’s Sake? Doesn’t art need to do something tangible, politically speaking? Do we create a false illusion of safety in the world if we write from a space of privilege about a world, or worlds, in which the dangers of somebody’s experience do not loom large? Do we, to paraphrase Kamau Brathwaite in Masks, let ourselves be silent, when the poem tells us ‘it is not enough…to be void, to be silent / to be semicolon, to be semicolony / fling me the stone / that will confound the void?’ Do we allow a shower of stones to fall we could have shielded someone from by writing or creating work explicitly about political injustices? Yes—but also, not necessarily, because the answer isn’t a simple ‘yes’ or ‘no’ in every case. After all, on the one hand, it’s hard not to argue that all art is inherently political, at least in a broad sense. Olive Senior argued in a 2013 Guardian piece on this very subject that ‘[w]e are all enmeshed in politics because we are all citizens of somewhere—even writers—and we cannot escape being shaped by political decisions, big and small.’ The political is sometimes set against the ‘personal’ or the ‘domestic’ thematically, as in the title of Bob Shacochis’ essay from the same year, ‘Should Literature Be Personal or Political?’ Yet these are by no means inherently disconnected, and even art that is not explicitly about politics is often political in its own way. Firstly, to choose to steadfastly ignore writing about real-world politics or to write without knowledge of such politics is to take a stance on those politics, regardless of whether or not someone supports such apoliticality. To encounter and interact with others is, in a loose but still meaningful sense, a potential political engagement, and, as Eleanor Catton argued in ‘Literature and Elitism,’ literature, at its best, ‘is pure encounter.’ The encounter is how politics, poems, prose, paintings, and post- and post-post-modernisms begin. All art, be it Italo Calvino’s depiction of doomed loves amidst the harvesting of milk from the moon in ‘The Distance of the Moon’ or the intensely personal Black Paintings of Goya that—though they likely came out of both political and personal frustrations and paranoia—the artist likely never intended to share with the public, deals with the politics of the personal, the politics of the body, the politics of what it means to be an individual human being connecting, or not connecting, with others, with the world. And so when, for instance, Gabriel Garcia Marquez writes about a grand, handsome body washing ashore in a small village, whose inhabitants are transformed by the larger-than-life presence of this mysterious individual, we have a short story in which there is hardly even any explicit geographic connection to politics or place, beyond temporally vague references to the Chilean hero Lautaro and the blunderbuss-wielding Sir Walter Raleigh, and yet we end up with a tale that is political in a broader sense: the politics of living day to day as someone who literally doesn’t fit in, the politics of gender norms, worship of the dead, and societal transformation. Garcia Marquez, of course, wrote extensively about real-world politics in his fiction and nonfiction. But the broader politics I’m talking about here are significant, as well. It is hard to find anything, even the apocryphal six-word tale of Hemingway (‘For sale: baby shoes, never worn’) or Augusto Monterroso’s famous one-sentence short story (‘When he woke up, the dinosaur was still there’), that is incapable of reflecting something about the politics of identity or humanity at some level, no matter how subtle. And sometimes I fear we lose something about the power of art to affect when we define the political too narrowly in it, when we too quickly chastise people for enjoying anything ‘mindless’ or ‘simple.’ We should be allowed to enjoy all kinds of stories, images, music in our ears—those that have no obvious message about high-level politics, as well as those that give a necessary voice to the too-long-voiceless, those that reveal the depths of corruption in the world. We should not have a kneejerk reaction to devalue a piece of art because it is not overtly politicised, even as we can acknowledge the importance and necessity of art that illumines the fictions and relativities of the safety of the world we live in. And sometimes, I need that music in my ears I call meaningless to make me feel safe—for it isn’t meaningless at all, but is instead another, simpler safety net for the times when you just need a very simple space to be in. Sometimes, the brief privilege to be able to escape by a piece of art that does nothing particularly complex is all you need to keep going, for a bit, drowning out the tell-tale footsteps of whatever thing, loveless or love-denying or Lovecraftian, may not be too far off. But this is a very broad definition of politics in art, of course. These aren’t the engagements the questions above are really asking about. In a sense, we have spectrums of what might be political in art: the broadest, in which all art contains inescapable political gestures; the middle-ground, occupied by texts like Swift’s Gulliver’s Travels or Charlotte Perkins Gilman’s Herland or even Huxley’s Brave New World, which, while it is easy for them to become dated, satirise or critique specific political ideas but are also able to be read in less historically specific, more universal ways; and the most focused, which take specific political events or moments as their backbones, be it the Napoleonic Wars in War and Peace or slavery and rebellion on Jamaican plantations in Marlon James’ Book of Night Women or America’s war in Afghanistan and its effect on families in Jesse Goolsby’s I’d Walk With My Friends If I Could Find Them or the rise to power of a corrupt Caribbean politician in G. C H. Thomas’ Ruler in Hiroona. And in that latter section are texts that have enraged governments or groups, texts that have shown again and again that art has social power: the novel that pushed Nuruddin Farah into exile from Somalia. The play that got Ngugi wa Thiong’o imprisoned. The two-line poems, landays, that a group of Afghan women risk punishment or death to write and through writing to rebel. The legal scandal for obscenity over Radclyffe Hall’s The Well of Loneliness, when she dared depict, briefly, a lesbian relationship in 1928 in the U. K, as her novel, though not the only British novel of the year featuring a lesbian relationship, was too dangerously ‘earnest.’ The art that forces people to flee, hide, or shout. The art that shows what it is like to be the Other, to feel Othered, to do the Othering, the art that is so necessary in a world in which so many people have their bodies reduced to mere bodies for who they love, who they identify as, what they look like, or who they made the mistake of looking at. The art that can change perceptions, like I’ve felt so privileged to see with some students in my course on Global Literature who had had a single story about Islam and ‘the West’ before reading The Reluctant Fundamentalist. The art that reminds, even as Steven Pinker argues in The Better Angels of Our Nature that rates of violence have ultimately decreased globally in the present, that violence is everywhere, that there is so much evil in the world that it seems banal, to paraphrase Hannah Arendt. All of these, no matter where on the spectrum they lie, can engineer change in us as readers or viewers, can show us something we did not know or were afraid to confront about the world. And we need them all. We need a balance: art that is explicitly politicised, and art that is not. There is room for both. In the best of times, they converge. Art can make us at once safer and more at risk, as it reveals. The most powerful of it makes us feel unsafe in some way. But it can also offer us a brief illusion of a safer, kinder world, depending on what we’re consuming—and don’t we need illusions, sometimes, in order to stay sane for a bit after we tear back certain veils? I know tears. As a transgender woman from a Caribbean island where LGBTQIA individuals can’t really live a safe or meaningful life if they are open about their identity, I do feel the need for a literature of engagement. As someone who used to meet with a tiny group of fellow skeptics to talk about our lack of religious beliefs in an island where some form of Christian religiosity is the casual norm, I understand desiring a greater voice. As a woman of colour, and particularly a transitioning transwoman of colour, I feel a sense of fear almost every time a police car is nearby, worried that the brutality so common in the United States, the country I now reside in, will one day hit me directly—and that I won’t be taken seriously if I live to complain, as too often has happened to transwomen who tell their stories to laughing or victim-blaming police officers. And then I think of my privileges. A literature that raises awareness, that allows others to witness what some things are like if they have not thought of such things before, is important and useful and necessary. I hope my writing and my future work can be a part of that. But in my creative work, I am not a propagandist; I am a writer, whose work may deal with certain ideas. You can’t force yourself to be one kind of artist or the other, even as you should always experiment with different forms and styles. You must create what you think must be said, what you think should be done. Perhaps the best art takes on the world in some way, destroys it and recreates it, draws reader and writer alike closer to the complexity of the globe or even of that planet’s place in a far vaster universe of which we are specks on a pale blue dot, a dot near-invisible on the map of the cosmos. Perhaps the best art complicates and widens what it means to be human. I want to believe that if you both remain politically aware of the wider world and create the kind of art that you yearn to, you will almost inevitably produce something that engages with the world. You should not force your work to have an explicitly political theme just to tack one on, if it wasn’t political from the start; rather, it should gain that theme as you write. We have a commitment to make art that is meaningful to us and, I would hope, to a world beyond our own. Let that occur in whatever way is the most natural to each individual writer. Let us sound our Whitmanian barbaric yawps across rooftops and retweets, across regimes and the rooms of the self. The novel, the short story, the poem, the painting—none of these are dead, even as individual forms and subgenres fade away or blossom anew. Perhaps we will be dead, instead, when they are. Ghosts may love to ruffle pages in a sudden horror-movie wind, but it’s the living who need to read what is on them, and what is not. Blue-haired Lady Death, as I like to imagine the figure I sometimes write about, won’t be around for us when the most basic political-artistic gesture, that of telling a story, can no longer be performed. Of course, this is all melodrama, and it isn’t, all the same. The basic point remains: we need to create, for whatever reason is truest to us. 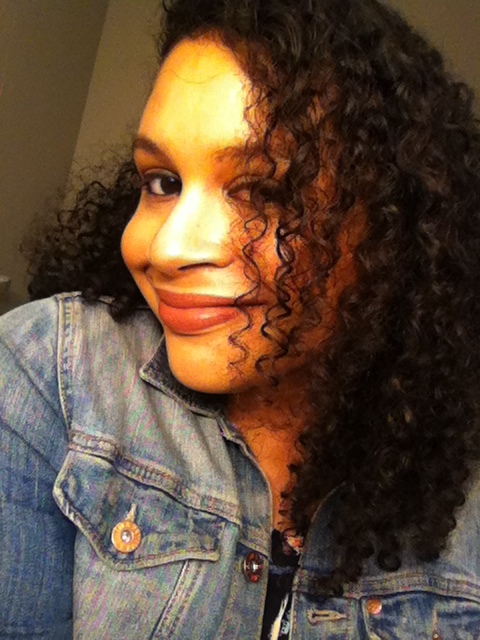 Gabrielle Bellot holds an MFA from Florida State University, where she is currently a PhD Candidate in fiction. She has contributed work to Guernica, Prairie Schooner, The Missouri Review, Small Axe’s sx salon, The SouthEast Review, and other journals. She grew up in the Commonwealth of Dominica, where she has worked as a member of a committee for the Nature Island Literary Festival. She is working on her first novel. Image © Eugene Ivanov via Shutter Stock. Tags: Art from the Others, Art You Engaged, Gabrielle Bellot, Politics, Special Issue. Bookmark the permalink.